Studio 360’s challenge to rebrand Canada becomes an effort to educate Americans. 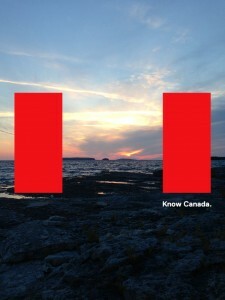 Brand New considers the icons featured in BMD’s new ‘Know Canada’ campaign. Designboom points out the importance of representing the inspirational culture and landscape of Canada in the 21st century. Design Edge Canada looks at new imagery associated with the Canadian brand. Placing a new focus on the Canadian flag’s iconic red bars. The National Post lays out the pros and cons to rebranding Canada’s “tightly branded” image. Belinda Lanks on creating a new visual identity for Canada and the goal of helping America better understand Canada. Fast Company includes ‘Know Canada’ among it’s best brands of 2012 list.